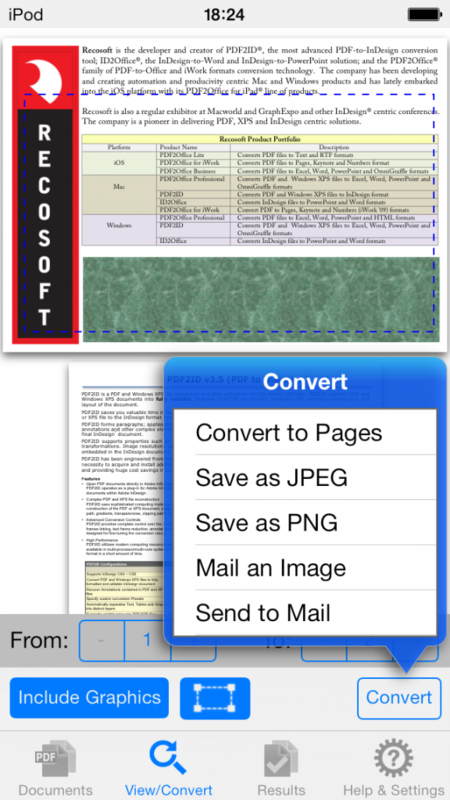 PDF to Pages converts your PDF files to Pages documents editable on the iPhone. 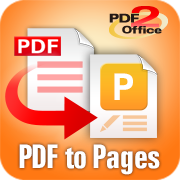 PDF to Pages by PDF2Office – the pdf conversion software of choice by many takes a PDF file on the iPhone and converts it to a fully editable Pages documen with a few simple taps. 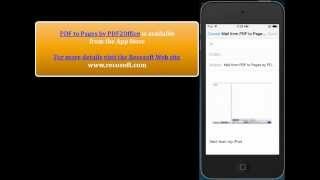 Watch how easy it is to do this on the iPhone. You can even convert a selected area also to the Pages format or even JPEG and PNG images and send it as a new mail attachment. 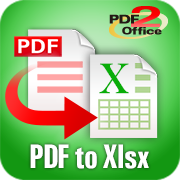 Convert PDF files to editable Pages, JPEG and PNG types! PDF to Pages accurately maps the layout with text, tables and graphics elements in place with an accurate representation. Simply mark out a specific area within a page and convert just the required area. 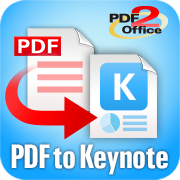 PDF to Pages by PDF2Office saves you time and allows you to use PDFs on your iPhone productively. Mark a specific area in a page and convert to Pages, JPEG or PNG. You can even mail the selected area with a simple tap.